The main differences between Planar Magnetics (PM) and conventional magnetic components are related to the geometry of the cores and the structure of the windings. In classical magnetics, the windings are made of solid or LITZE wires. In PM, the windings are made from pre-tooled parts: thin copper foils which are manufactured as flat conductors on Printed Circuit Boards (PCB) or self supported “Lead frames” (LF). These parts (PCB & LF) with precisely defined winding positions, make it possible to predict with high accuracy the geometry of PM magnetic parts and electrical specifications of planar transformers and inductors. 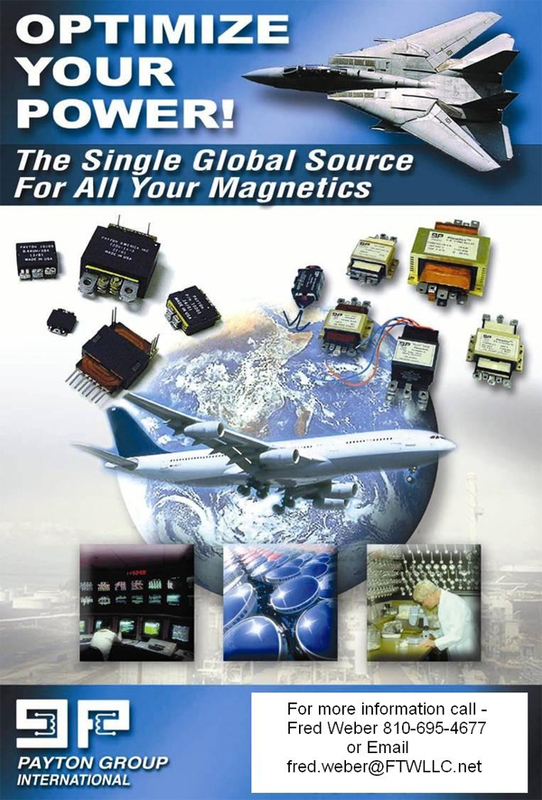 Another major difference between the classical and PM magnetics is the ratio of ferrite to copper volumes. A PM device will typically comprise of a core with a larger cross section area but the windings will normally have smaller number of turns. Two winding structures are employed in PM: ‘Lead frame’ and PCB windings. The ‘lead frame’ is designed to carry heavy currents per the application. It is therefore suitable for low voltage high current applications and can be used as a single or multiple layer winding, The PCB approach is more suitable for a high voltage low current winding and can also be applied as a single or multiple layer winding. The technology of foil conductors applied in PM has many direct and indirect advantages especially in high switching frequency applications. Some of the advantages are related to copper loss while other are related to magnetic properties of the devices. Copper loss and Leakage Inductanc are major sources of loss at high switching frequency and ‘proximity effect’. The foil inductors technology, applied in PM, helps to alleviate these problems by realizing conductors with large surface area as compared to the width, and will have, in some cases, up to ten fold lower leakage than classical transformers. Core losses of magnetic material are mainly due to eddy currents and hysterisis losses. One would prefer cores which exhibit a large cross section area but a relatively small volume. In PM, the ratio of effective cross section to core volume is the largest (as compared to most conventional cores), making it advantageous in high switching frequency applications. Thermal conduction between the ‘hot spot’ of the magnetic component will eventually determine the useful power level of the device. In PM, the geometry leads to short thermal paths and is characterized by large surface area which helps to dissipate the heat. Consequently, PM designs are more economical since they allow a relatively higher power handling as compared to classical magnetics. The above table is an excerpt from an article written by Professor Sam-Ben-Yaakov in 2001. For the entire article please see the Planar comparison document.